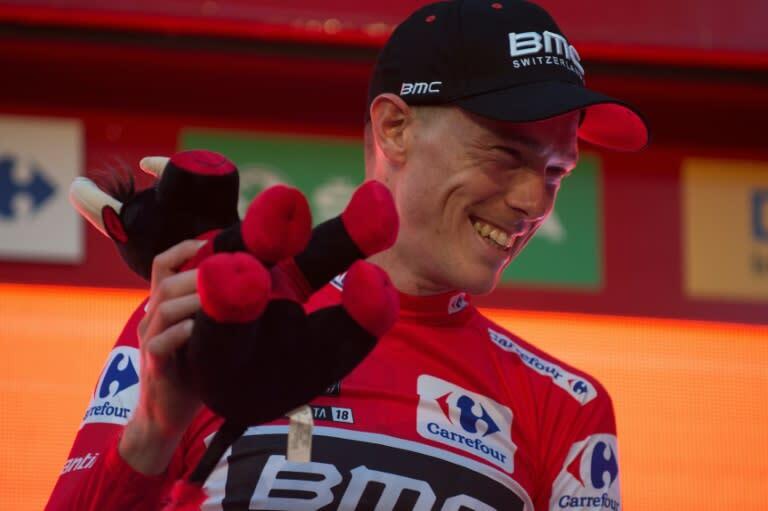 Australian Rohan Dennis shut out the main pretenders to the Vuelta a Espana title when dominating the first-stage time trial in Malaga on Saturday. The BMC specialist in the discipline covered the eight-kilometre circuit in 9min 39sec to deny Team Sky's Michal Kwiatkowski by six seconds with Belgian Victor Campenaerts a further second behind in third. For Dennis this completed a personal hat-trick as he was adding this first Vuelta win to stage success on cycling's other two Grand Tours, the Giro d'Italia and Tour de France. The 28-year-old said: "When I saw Kwiatkowski's time it made me a bit nervous. I was hoping he wouldn't get below 9:50 and I was confident that I could get in the 9:40s." Making the most of the time trial purist's route, Dennis had most of the Vuelta big guns over 20sec behind. Spain's Alejandro Valverde came in 16th, 24sec adrift, with Briton Simon Yates at 29s, Colombian Nairo Quintana at half a minute, and France's Thibaut Pinot and Italian Vincenzo Nibali 40sec off the pace. Dennis' fellow Australian Richie Porte was hampered by stomach problems and trailed in 51sec behind in 97th place. Sunday's second stage is a 163.5-kilometre ride from Marbella to Caminito del Rey. "I don't want to appear presumptious concerning the Vuelta but it's not serious if I lose the jersey," said Dennis. "My objectives were the first and 16th stages (another time trial), so from now I'll be helping my teammates."